Boon On has been practising in the area of dispute resolution since 2003. He has advised and represented a wide array of clients including contractors, major international corporations as well as individuals disputes and arbitrations and employment disputes, cross disputes and insurance disputes. Some significant matters that Boon On has worked on include claims arising out of the collapse of tunnelling work, claims arising out of the construction of a large power plant project in Indonesia and claims arising out of a railway construction project. Boon On graduated from the National University of Singapore in June 2002 with a Bachelor of Laws LL.B (Honours) (Second Upper Division). He was called to the Singapore Bar in May 2003. 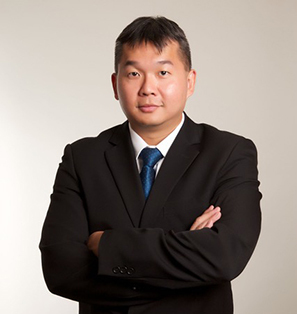 In addition, Boon On holds a Bachelor of Engineering (Honours) (Second Upper Division) 1996 from the National University of Singapore. He practised engineering until his admission to read law in 1999. His engineering background proves invaluable to many of engineering and his clients especially in dealing with complex technical issues in engineering and construction disputes. Boon On also holds a Master of Science in Applied Finance from the National University of Singapore. Boon On is active in various Pro Bono initiatives. He has advised and acted for individuals under the Law Society Legal Clinic and the Ministry of Law’s Legal Aid Bureau Schemes. Boon On is also an Accredited Adjudicator.